Today I’m sharing I project I finished this past weekend as part of the DIY Workshop Virtual Party sponsored by The Home Depot. 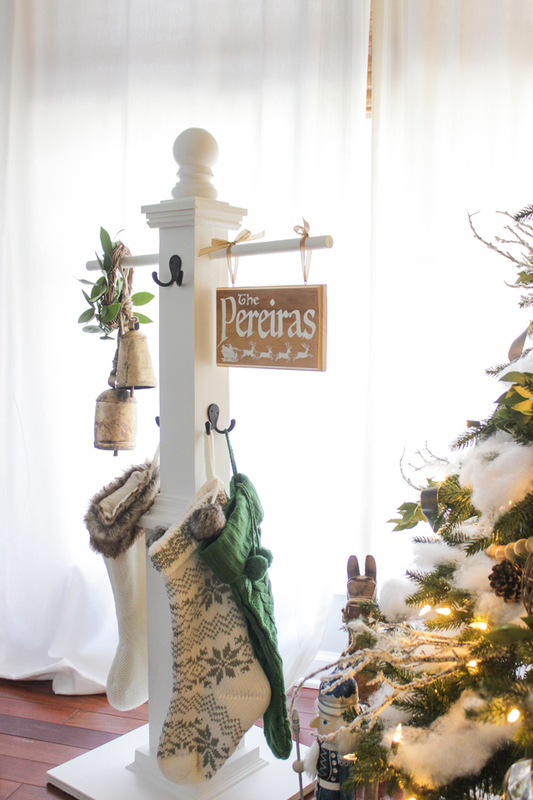 As I announced last Monday, all local participating Home Depot stores will be hosting a #DIYWorkshop building this same project: A DIY Stocking Post (minus my customizations)! 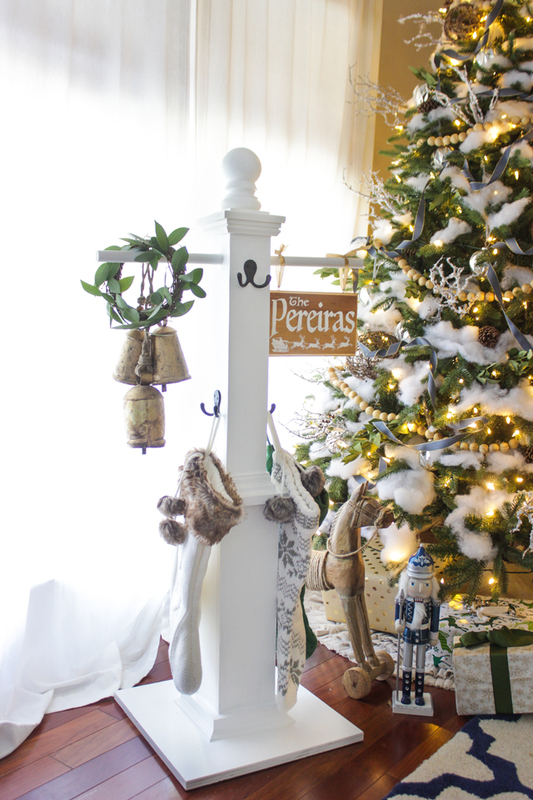 The basic design is the easiest build you can imagine and is perfect for those of us who don’t have a legit mantel, or whose Christmas tree isn’t close to a mantel. Brad, from Fix This Build That, invited me to be a part of the virtual party and today we each share how we customized the same project– making it uniquely our own style. If you are new around here, then you might not know I have a bit of an obsession with craftsman style everything. I love it. So I took my fence post 4×4 and I trimmed it out to look like a craftsman style post or column. When I posted about this on Instagram last week, I asked you all what things you would like to see to make it better. I listened to your responses and tried to incorporate most of them, including extra hooks– staggered, for people who have more than 3-4 children. 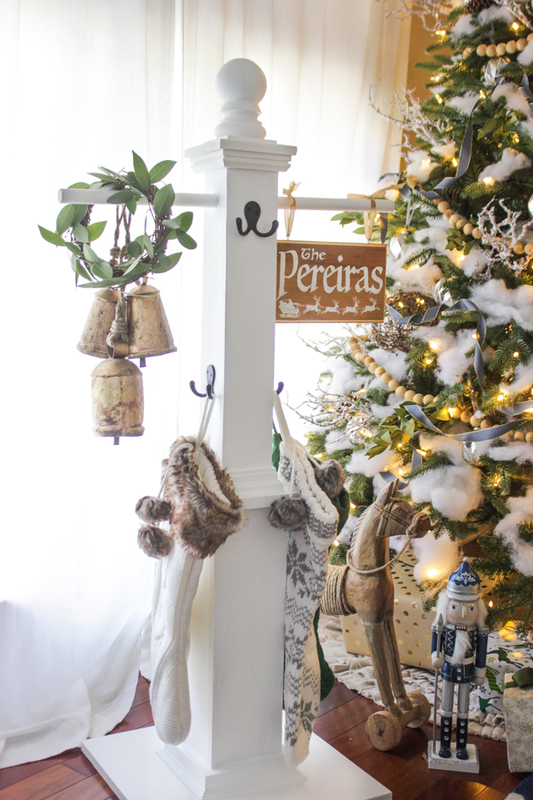 I used these double hooks on three sides, which can hold 6 stockings, then I added this dowel, which, if needed, could hold at least 2 more stockings on each side– so all in all this design can hold 10 stockings if you decided to forego a sign or anything else hanging from the dowels! And it is super sturdy with the wide base, so it wouldn’t tip over either! Someone else asked for a way to hang a family name sign on it. 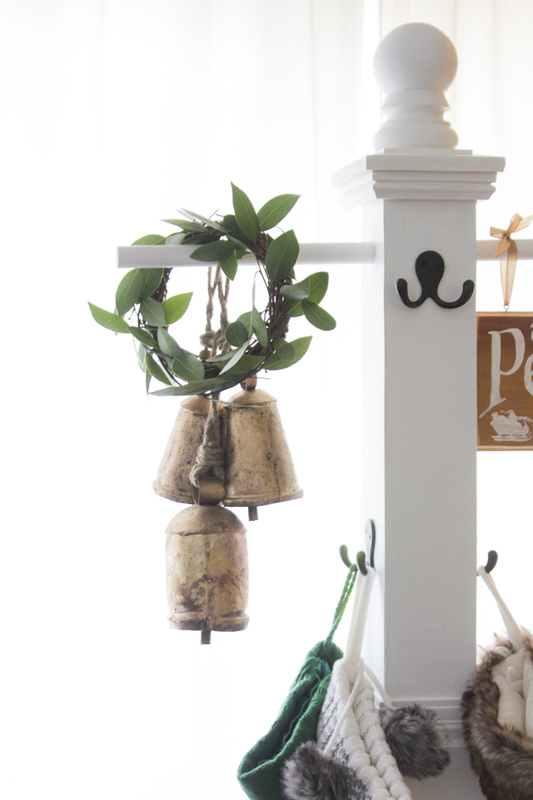 I had been thinking of that idea too, so the wooden dowel is versatile and can hold a hanging sign, bells, a wreath, a lantern… whatever you want! 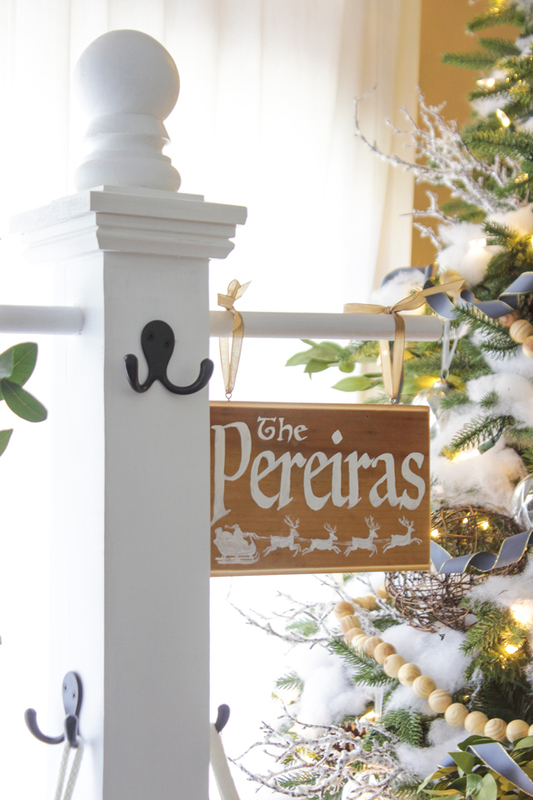 Not only that– this neutral design makes it so you could use it outdoors year-round on your porch or in your garden– hanging flower baskets on either side, a wreath or garden tools on the hooks, etc. I made the sign using just some scrap wood that I routed and attached some eye-screws to. The design was something I just whipped up on Photoshop using holiday clip art online and a font that I thought looked pretty (Luminari, if you were curious on the name). I then printed it out and traced over it on top of the wood, pushing hard with a pen, then just painted over the design with white paint. Measure 3 1/2″ from one end of the 4×4 post and drill a hole all the way through using the 7/8″ spade bit, staying as vertical as possible. If you have a drill press, use it to drill the hole instead. 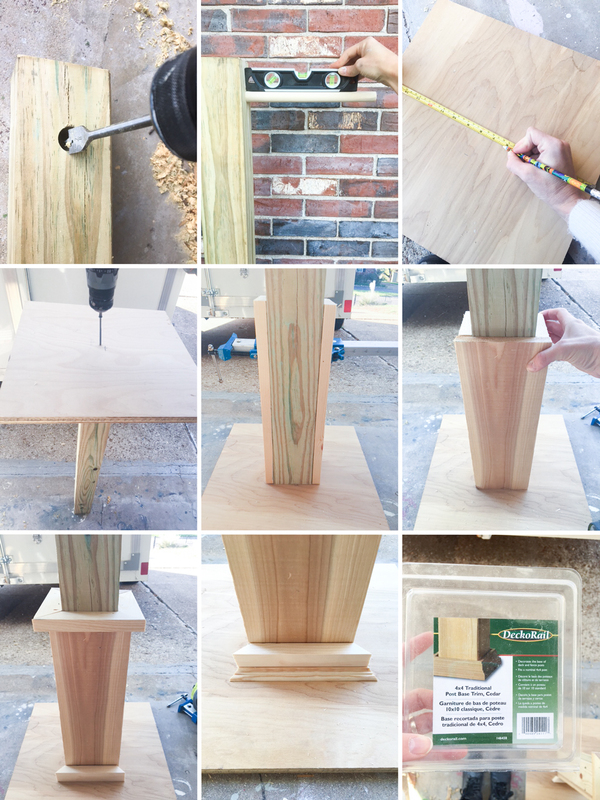 Slide wooden dowel in the hole and make sure it is level when the post is upright. Measure and mark the center point on the 16″x16″ plywood base on both sides. 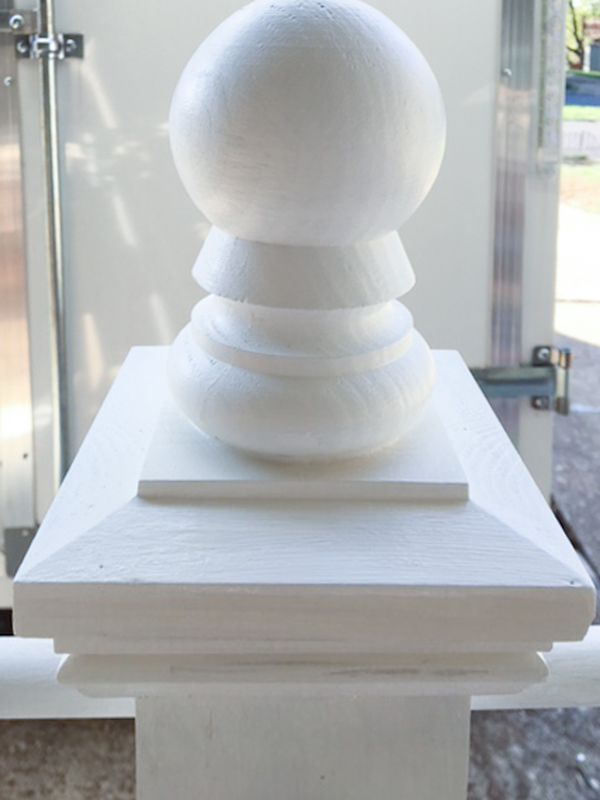 From the center point on one side, measure 1 3/4″ out in all 4 directions, so you know where to place the post. Attach the base to the post (opposite the end that has the hole drilled through), from the underside of the base using 3, 3″ exterior screws. Make sure you post is lined up with the marks you made. Now I KNOW you want to build one too! Yourself (DIY), Do-It-Herself (DIH) and Kids. Customers can learn how to build décor projects, how to make easy home repairs and how to operate tools through demonstrations and step-by-step instructions. This DIY Workshop will take place THIS SATURDAY November 19th, from 10:00-11:30am. Ready to see more awesome modifications the rest of the bloggers made to this project? 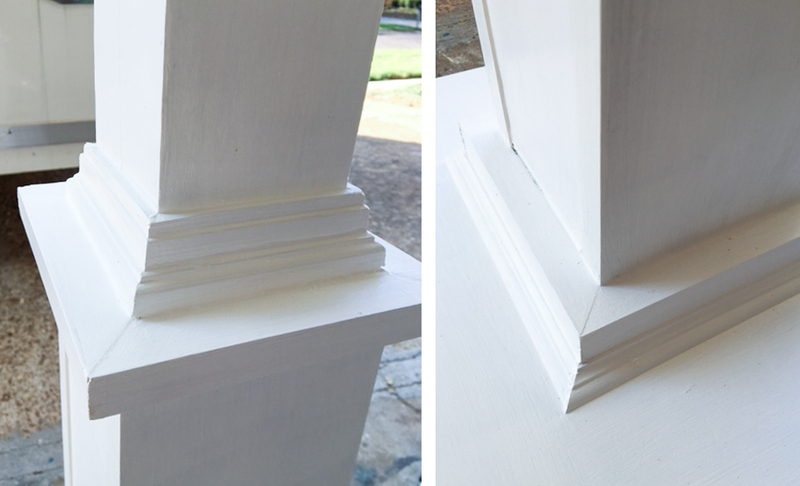 Love all the extra trim and molding! It’s beautiful! So good, Rachel!! Love your version and thanks for joining! Very nice , I may use a few of your ideas and keep this on my porch year around with may address on it. I work at Home Depot and help with the Do it Herself workshops. I will be showing this at the class. Merry christmas you all !! How much would you charge to make one for me?! Sorry, I don’t make these to sell. I absolutely love this idea! Pereira is my maiden name!!! My father was Portuguese and my mom born in Brazil! So beautiful! Where is your wooden rocking horse from? I found it at HomeGoods last year! So pretty! Where are those cowbells from? I wish there were a VIDEO on making one. beautiful… do you happen to remember how much it cost to make this? Did you paint the dowel first? Or after it was inserted? How much was this project to build? 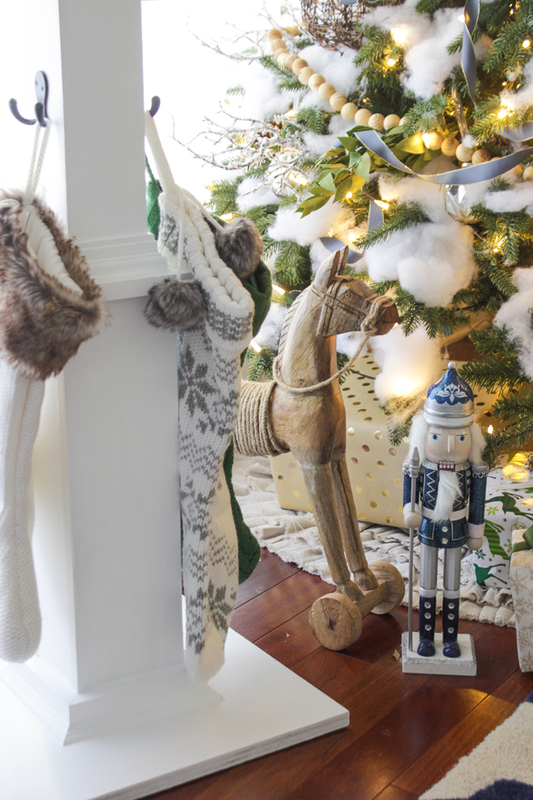 You don’t by chance have a pattern for the stocking? Sorry, I don’t. The stockings were purchased from Target.